Looking for a delicious lemon dessert for spring and summer, made with dark sweet cherries? 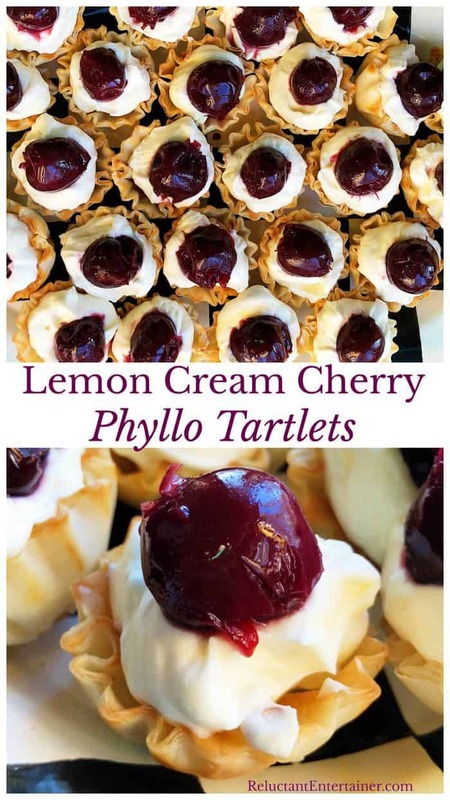 Enjoy Lemon Cream Cherry Phyllo Tartlets, made in less than 15 minutes. 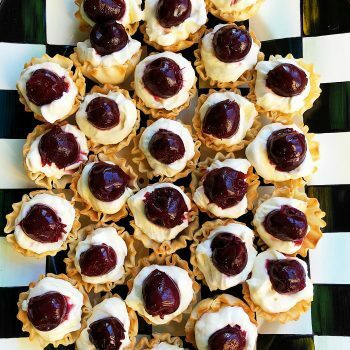 Prepare the cream mixture, fill the tartlets, and place a cherry on top right before serving! Little bites of goodness! Friends, we woke up yesterday to a beautiful, fresh blanket of snow on the ground. 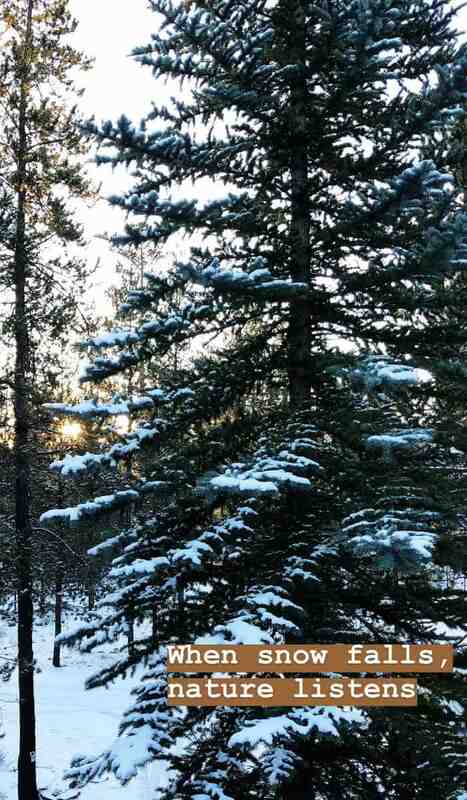 I love living in central Oregon, with a variety of weather patterns that bring sunshine and snow! 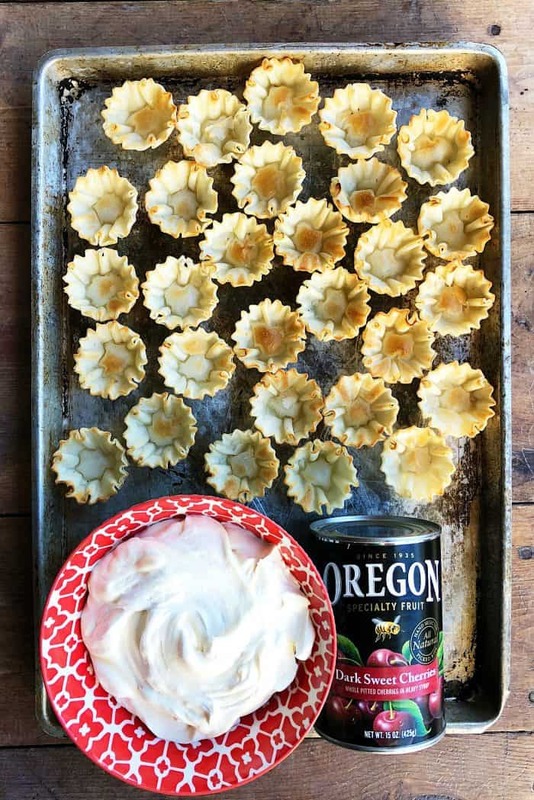 I also love a super easy dessert when you’re in a pinch for a party, like these Lemon Cream Cherry Phyllo Tartlets (or these Strawberry Puff Pastry Bites). The fresh snow made me think of the friends we enjoyed dinner with over the weekend. They invited us to their home, and cooked Julia Child’s Beef Bourguignon, which I think is the ultimate Valentine’s Day dinner for hosting! It was fabulous, served with Jasmine rice and a side of green beans. I say the snow reminded me of our friendship, because the people in our lives mean the world to us. Snow to me is so fresh and new. Whether old friends, or new (living in a new town), we get to invest, and stay out late with delicious food, but also great conversation. We talked about marriage, our work, politics, our upbringings, our town, faith, and justice. Topics like these are so worth the heart-to-heart, face-to-face connection. It’s how we get to know each other better. 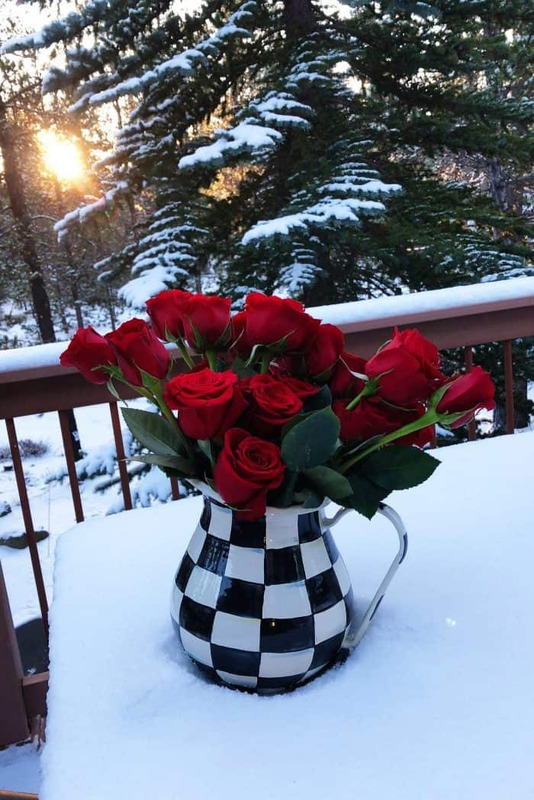 Being Valentine’s Day week, with the beautiful white snow, these gorgeous red roses (thank you, Whole Foods Bend! ), a rather new friendship, and a delcious homecooked meal, I’d say our love cups were full. 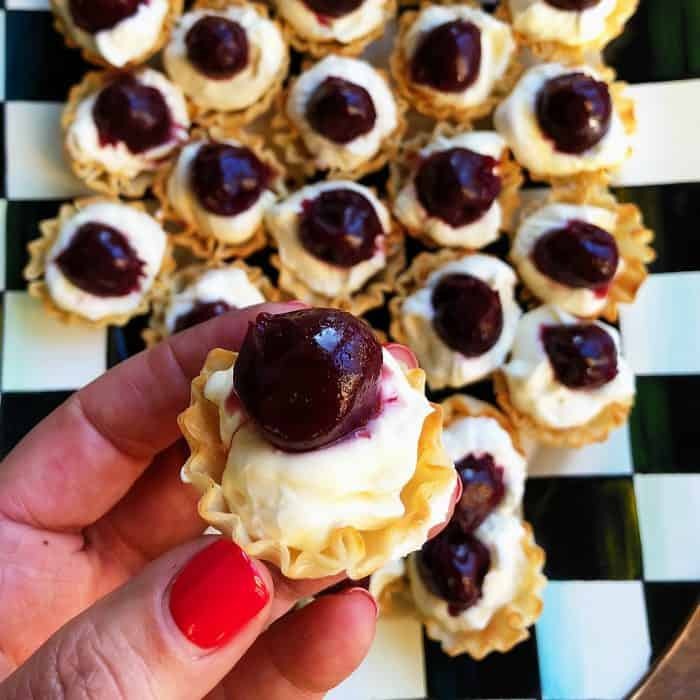 Just in time for a speedy dessert, you’ll love these quick and easy Lemon Cream Cherry Phyllo Tartlets! You can pick up easy ingredients at the grocery story, and I don’t know about you, but I always keep lemon curd stocked in our pantry! Make the cream mixture, fill the little cups, and keep in the fridge until right before serving! I say place a cherry on top right before (or close to) serving, because the cherries can be pretty juicy. Top with lemon zest if desired. I went to grab a lemon and they were gone! Yesterday we barbecued lemon dill salmon and asparagus and used our yummy Meyer lemons in those recipes! New friendships can be hard to come by, I hear more and more. People feel that everyone is too busy, or it’s just not safe to open up and invest. That is sad. Of course we need to walk carefully and wisely. We should all learn when to speak, or speak up. And we should also know how to listen. Listening is a great gift to give for Valentine’s Day! Invite a neighbor, couple, or someone who’s been on your heart. 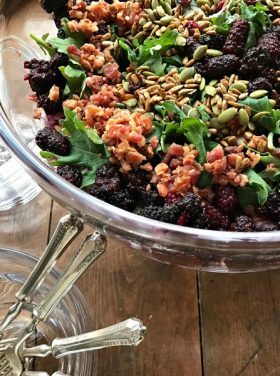 Make a simple meal, have your guests bring a salad and a bottle of wine. 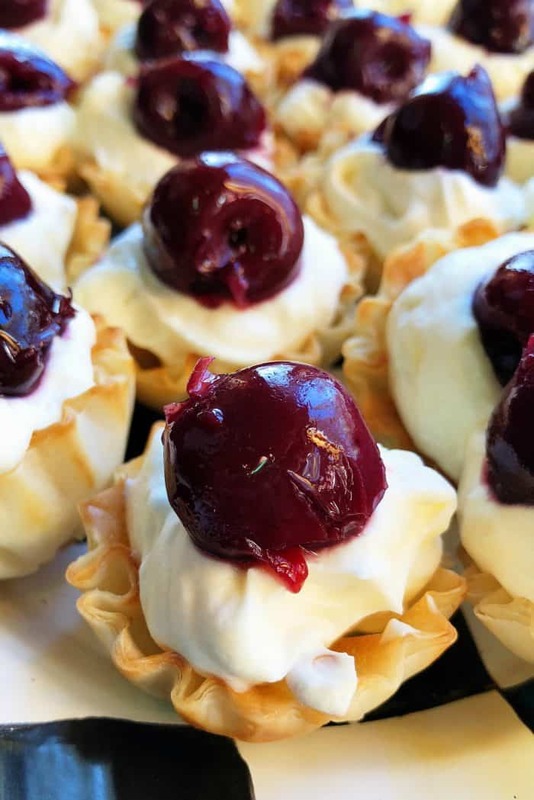 Listen and enjoy and serve these Lemon Cream Cherry Phyllo Tartlets! 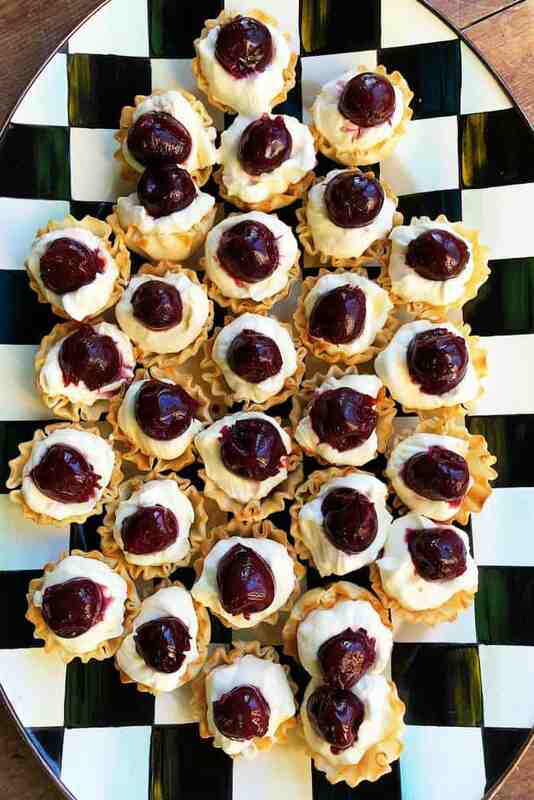 Line a serving tray with thawed phyllo tarts. Whip the cream; add the almond and vanilla extract. Set aside. Whip the lemon curd and mascarpone cheese; fold in the whipped cream mixture. 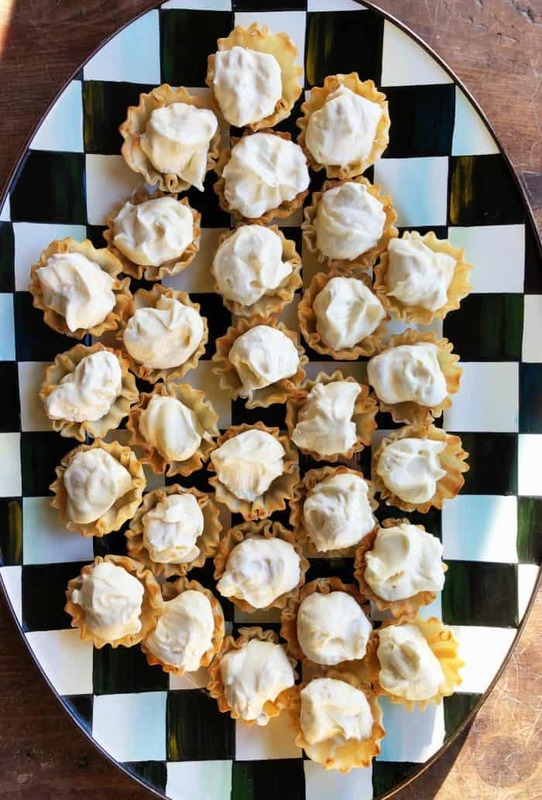 Fill each phyllo cup with a heaping tablespoon of the filling. Cover the pan with plastic and refrigerate serving. Drain the cherries so they are ready to add to the tartlets right before serving. Before serving, add 1 cherry per tartlet. Top with lemon zest (optional). Serve! 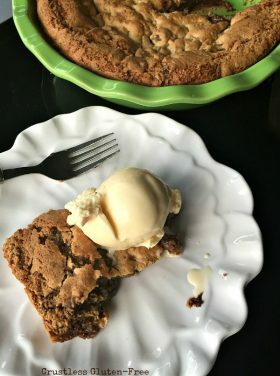 Easy Valentine or spring/summer dessert bites: Ganache Blackberry Brownie Bites [RE], Chocolate Covered Peanut Butter Banana Bites [RE], Mini Silk French Pies [That Skinny Girl Can Bake], Easy S’Mores Bites [She Wears Many Hats], and Delicious Texas Sheet Cake Bites [Princess Pinky Girl]. 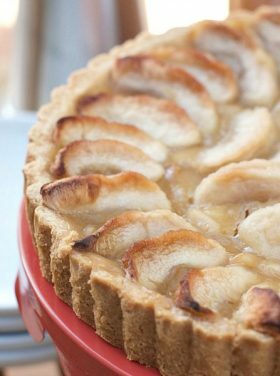 Desserts Entertaining family life & faith & friends Holiday Foods Holiday Parties Parties Recipes Relationships Why Reluctant? what a yummy, fresh dessert!!!! !